This is by far going to be the hardest entry I have made in this blog to date. I know I may have danced around this topic before and gave throwbacks to my past to explain my insight but so close to the 22nd, I am going to struggle to write this. I think however though this needs to be done, not for my journalistic aspirations but simply for my sanity. This blog experiment did originally start-up as a quasi-therapeutic outlet for all the ramblings in my mind. I’ve come across some clichés and tactics that I want to dive into when it comes to helping someone deal with death… as I said, not an easy topic. Bare in mind that anything I write in this entry is strictly subjective to my own experiences. There is no true way to help someone through a hard time the truth is it varies from person to person. Tactics that would work on someone can be ineffective on someone else. Sometimes they want to talk about it, sometimes they want to be distracted…. sometimes they will only talk to people who are very close, other times it is the people who are close that will bring up old wounds so the preference is to talk to familiar, yet not so close people. Sometimes they are spiteful for everything that has happened, other times they are guilty and feel at fault. There are way too many psychological aspects that it would take days to write them all out, so once again I’m sticking to the general. First and foremost I want to ask you a question. Yes you, the reader. 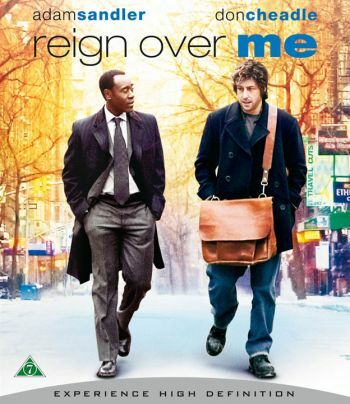 Have you seen the movie “Reign Over Me”? If you answered no to that statement then I want you to leave this website for the moment and go to a video store, or log into netflix, or even hit up a torrents site and get this movie and watch it. I have never seen a better portrayal of someone truly hurting from a tragic loss than this movie. It is one of my favorite Adam Sandler movies, it showed that he doesn’t always have to be the bumbling goof… okay. Go watch it. If you seen it before, or you’re cheating and pretend like you did. I will fill you in on the plot. 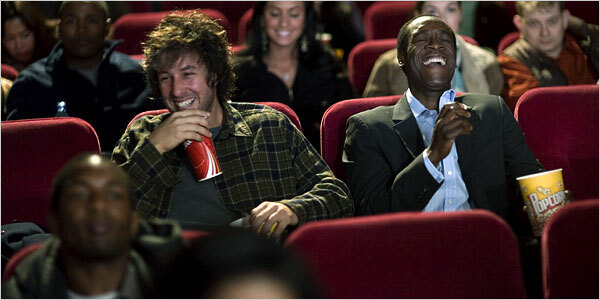 The movie stars Don Cheadle and Adam Sandler. Cheadles character is a doctor that went to college with Sandler but they didn’t remain close. One day Cheadle runs into Sandler and wants to catch up. Sandler is a very disconnected from the world, it turns out he is suffering for a very severe case of Post Traumatic Stress disorder. His wife and kids were on one of the planes that crashed into the twin towers on 9/11. The entire movie is essentially dedicated to Sandler coping with the loss of his family and Cheadle trying to help him out. I bring this up because as I said it is probably the truest depiction of a grief I have ever seen on film, and honestly when I watched it and saw the scene below I felt every stinging word. Even now the scene is hard to watch because psychologically I feel the emotion, but all I imagine is my loss, and how I had to come to terms with that. Sandler does an incredible job of tapping into the loss that I still harbor in myself that it is tough for me to not give high praise to this movie. As I said, one of his best roles. When you lose someone, especially someone who is really close to you, you feel alone. Simply put. If I had to describe the emptiness that comes with this grief in one word it would definitely be loneliness. After my ordeal almost 9 years ago now, I didn’t want to be in any kind of social circle, and the times I was in public I was surrounded by people but I was completely alone. So lesson number one if you find yourself trying to help a friend through such a problem is, find a way to fill that void. If they lost someone they really care about, there is an empty part of them that is going to continually consume them from the inside out, and it is your job to make sure that you minimize the loneliness that they feel. For me? I had people who were there for me, but it’s very tough for anyone to really cure the lonely feeling. The next lesson, is essentially a line I think everyone should stay away from. It is a very common device for helping someone through a trying time but for death it really does not aid in any way. “It’ll all be fine” or “It’ll hurt for now, you’ll be better with time”… I have heard this line over.. and over.. and over. I feels like you’re reading from a fortune cookie. Truthfully, I know that it is common to get through someones passing and eventually it will get better most of the time… but it’s not something that I think needs to be said. I can’t keep this up though, I mean there really isn’t any advice that someone can give on dealing with a friend who’s going through something that profound. It’s one of the worst feelings imaginable, especially when it is someone who you love. I tried turning this post into a semi-objective piece giving some insight into the psychology of grief, but in case you haven’t actually picked up on it. I just ended up rambling about my own problem. So I’m going to end this with what I’ve learned. It is going to sound clichéd, but it truly is how I get through my days. It’s very easy to get completely caught up in remorse. I spent 5 years thinking that what happened was my fault for the most absurd reason. When I tell people my story it is painfully clear that I did everything I could for the benefit of everyone else BUT me. I find my sanity when I do look in a mirror and see the influence that she had me. I see the person I am, and I thank her for everything she has done. I don’t mourn her death, I remember and I celebrate her life. That does get difficult at times but it is a much more positive outlook. It does make me wish that I believed in the Christian afterlife, because I know she’d be there waiting for me, but alas I don’t. This world was denied an extraordinary individual way too early in life. I watch Reign Over Me and I can only imagine what I would’ve ended up if only I had some more years with her, maybe a family.. and then imagine losing her… I truly believe that I would end up in the same way. I know this entry is a bit off the beaten path from my regular work, but this entry is more for me. Once upon a time this would’ve been scribbled on an exercise book and then tossed away never to be seen. I needed to say everything here in a public forum, maybe it’ll do someone else some good to hear this story. One day I will go into the details and everything, but that’s not a story ready to be told. A real entry will be up soon but for now, thanks for bearing with me while I lose my mind you’re a lovely crowd. This is the scene where Adam Sandler’s character finally breaks down and talks about his family for the first time in the movie. Liv Tyler plays his psychologist that has continually failed at getting him to open up. So, he decides to finally open up to Don Cheadle. One of my favorite performances by Adam Sandler in any scene of any movie. Did I happen to mention yet that you should watch this movie?? Okay, so I never saw the movie, but I will download and watch it later. It is true that no matter what people tell you it is hard to get over losing someone. I’m sure this girl was amazing, and even though you don’t believe in the afterlife doesn’t mean she isn’t still around, she is probably watching over you, and is proud of everything you have done.